and thank you for finding us! locations in northern part of Sweden. We have a close relationship with several Film Commissions. Naud Production AB is co-working with company's in Finland, Norway, Island, Denmark and several more countries. We have produced film and television in several countries, in Europe, Africa and North America. MDC International in Berlin, Germany, is Sales Agent for some of Naud Production's films. The company is also a member of EDN (European Documentary Network), OFF (Independent Filmmakers Association) and FilmCentrum. Naud is working with "Barents Euro Arctic Film And Television" regarding issues within media in the Barents region. We are still working with this site and we hope that you'll visit us again and maybe find something new. * Naud Production are developing the dramadocumentary "The Adventure" and the premiere on Swedish cinema are planned to be in August 2009. * Naud Production have sold the film "Don't forget to love each other" to Swedish Television. The film will be screened autumn 2008. * Naud Production are working with Norrbottens Musiken and Norrbotten Big Band with the score to "Under the Almond Trees". The recording of the music, written by the American composer Tim Hagans, will take place in Piteå on January 15 to 17, 2007. On Tim Hagans website you can see, on the media player down on the right, several sceens from Boogaloo Road, directed by Runar Enberg and Marianne Söderberg. * Tim Hagans will write the score to "Under The Almond Trees". Read more about Tim Hagans here! * Naud Production develops a TV-series based on script by authour Kent Lundholm. Director is Kjell-Åke Andersson ( "My Big Fat Father", "Juloriatoriet"). * In october, 2005, Naud Production starts the shootings of the documentary film "Under The Almond Trees" (aka: "Winter on Mallorca"). The film will be shoot in Sweden and on Mallorca, Spain. We will do the shootings during several periods until the summer of 2006, says Runar Enberg. The film is planned to be released in december 2006. * "Don't forget to love each other" directed by Jesper Gunnarsson and produced by Naud Productions is now in the editing room.. "This will be a very powerful film" say's producer Marina Eliasson after the first editing version. * Naud Production continues the collaboration with author Kent Lundholm. Many of Kent's story's are brilliant and have such a human warmth and humour that they just got to be good films. Several production company's, among them SVT Drama, has worked to get Kent's story's out on the screen and on TV. This has not been done. We feel that Kent's story's are great and we hope to take one or several of them onto the screen and/or TV in the next coming year. Kent Lundholm has published novel's like "All the worlds happiness"
* Naud Production produce a new documentary. The Producer Marina Eliasson is responsible for the project, working title, "Don´t forget to love eachother". Director is Jesper Gunnarsson. * Naud Production has baught the option of auther Kent Lundholm´s script "Going to fish". Jacke Sjödin is to direct. Runar Enberg are the producer. * Naud Production is developing a new serie of documentary. The project was developed during 2004 and are now, 2005, under financing. Pland shootings are set to autumn 2005 until summer 2006. * Naud Production AB now in central Umeå. On Magasinsgatan 17, 3 tr. the new head office is situadet. Phone is +46-90-18 22 21. You can reach the company´s owner, Runar Enberg, on +46-90-18 22 20 (also fax) or +46-70-600 96 61. * Naud Production was service-producer for Ogilvy (England) and Ken Griffiths Bureau (England) commercial on the car "Ford Ranger". * "Boogaloo Road" will compete at Barents TV-Festival, September 30 to October 3, in Tromsö, Norway. * Naud Production has taken the initiative to start a distribution company, Pathfinder Film Scandinavia, together with Cinemedia Ky (Finland) and Thom Palmen (chairman of European Cordiantion of Film Festivals). 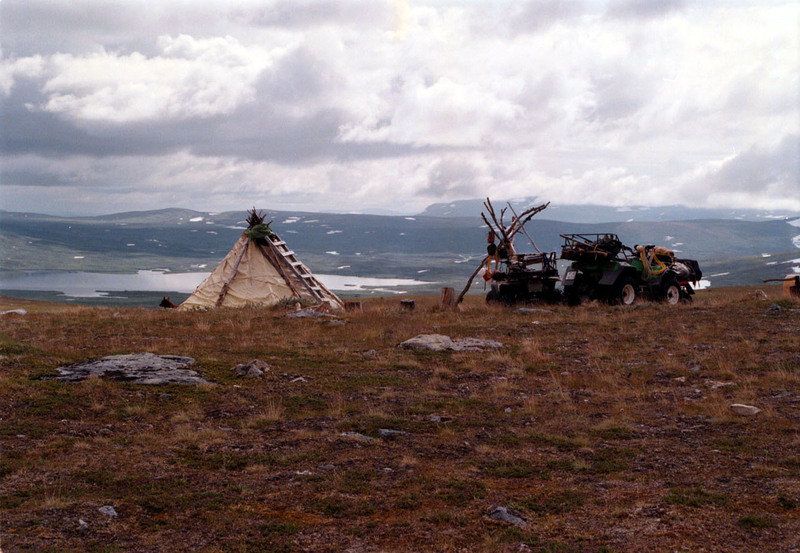 Pathfinder will in first hand deal with films produced in Northen Scandinavia and try to bring them out to the world. READ MORE! * Runar Enberg has recently made the short film "Under the Tree", shot in Ghana, Africa, with Swedish Television. The film will have it's world premiere at the Neue Heimat Film Festival in Freistadt, Austria, in the end of August 2003. "Under the Tree" will also be screened at 18th Umeå International Film Festival 18th to 24th of September. READ MORE! * Naud Production is co-producer with Tact Production (Paris) and Originalfilm AS (Norway) on the documentary "Body and Soul". The TV channel ARTE (France and Germany) is one of the main financiers in the project. Releace in France August 2003 and in other European countries during fall 2003. READ MORE! * "BOOGALOO ROAD" is to be screened on Swedish Broadcasting Corporation (Sveriges Television, SVT) channel 1 (SVT 1) on January 4th 2003. A second screening of the film is on Sunday 19th at 17.00 on channel 2 (SVT 2). * A FUR STORY will be screened at Finnish Filmdays in Prague, Check Republic, on October 3rd 2002. * BOOGALOO ROAD has been invited to the 15th NEUE HEIMAT FILM FESTIVAL, August 21-25 2002, in Freistadt, Austria,. It will compete in the documentary section. About Boogaloo! * BOOGALOO ROAD will be screened at Pärnu 16:th International Film Festival in Pärnu, Estonia, in July 2002. About the festival! The Festival Programme! About Boogaloo! * Naud Production is involved in some new projects. Naud Production has taken obligations within three new projects. * The company is now involved in the development and the production of Boris Erssons documentary "On a journey with The Seagull" - a film project over three years of production that tells us stories about people and culture all around the Kvarken and Bothnia See. * Naud Production is producing the short film "Poser" (working title) written by Jorge Cardoso and will be directed by Fernando Altamirano. More information will come. *Naud Production is the Swedish co-producer of the feature film "Secrets" written by Gerald Wilson and will be directed by Anders Engström. More information will come. * "BOOGALOO ROAD" will be screened at Ebenezar in Luleå, Norrbotten, Sweden on Sunday January 20th, 2002. After that the film will be screened in 10 cities/towns in the region of Norrbotten. The film's main caracter, Tim Hagans, and his band The Norrbotten Big Band, will be attending the screening in Luleå. * FIRST NIGHT SCREENING AND JAZZ FESTIVAL OPENING!!!!! the 34:th International Jazz Festival in Umeå. The film is about jazzmusician, composer, bandleader etc. Tim Hagans. It's a film about differnet ways of life, about life it self, about music and about man. It's a warm film, it's a film with a lot of music and pictures from New York and Norrbotten, Sweden. Naud Production did the development, Moviemakers (Göran Lindström) is producing in co-production with Swedish Television and FilmPool Nord. A film by Runar Enberg & Marianne Söderberg. Read more about the film HERE! * "HOLDING HANDS" got an Honourable Mention at Barents TV Festival at the Prize Winning Cermony on Friday evening, October 5 th, in Tromsö, Norway. It was a great screening and I many people came to speak with me about the film - tells producer Runar Enberg. The film was also screened at Norwegian Television, NRK, last week. In the beginning of December Finnish Television, YLE, will broadcast the film. * "Days by the River" is invited to NORDLICHTER Film Festival (29/11-9/12, 2001) in Vienna, Austria. The film will be screened on December 7th at the festival. * "HOLDING HANDS" has been sold to Finland, Norway and Denmark. * Tim Hagans plays lead on the music score for the worldwide release of "The Score" with Robert De Niro, Marlon Brando, Edward Norton and others. In autumn 2001 the film about Tim Hagans is about to be released. * "DAYS BY THE RIVER" competes in the 5th Environmental Film Festival Istanbul, Turkey, in June 2001. * "Days by the River", "A Fur Story" and "BP3 makes a jorney - or can I get a beer in Africa?" where screened at The Whole of Sweden Film Festival in Storuman, Sweden, on May 2nd to 6th 2001. * "Days by the River" where recently in competition on One World Film Festival in Prague, Check Republic. * "A HEAVEN IN A MOSQUITOS NEST" got an HONERY MENTION at Barents TV-Festival (27-29/10) in Umeå this weekend. This music-drama was produced by Runar Enberg for Swedish Television, Umeå. is competing at Kettupäivät ("Foxdays") 27/11-3/12 in Helsinki. Kettupäivät is Finlands largest short- and dokumentary festival. * Naud production and Cinemedia has produced the documentary - "A Fur Story". The film has been shoot in Finland, Sweden and Denmark. The film is a production in association with Swedish Broadcasting Corporation (SVT) with the support of the Finnish filmfund AVEK, Nordisc Film & TV Fund and FST. Premiere was in Finland on May 15th. 2000. The second largest newspaper in Finland gave The Fur Story 4 stars out of 5. * Naud Productions Runar Enberg in International Festival Jury! In this years Film Festival Jury at 13:e Festival der Neue Heimat Film, Freistadt, Austria, Naud Productions Runar Enberg will be sitting. The Jury will be handing out prize for best Feature film and best Documentary. The Jury is, besides Mr. Runar, Gian Piero Brunetta (Italy), Gabi Geist (Germany), Alfredo Knuchel (Switzerland), David Wagner (Austria) and Renate Wurm (Austria). * The International Sales of "Days By The River" is now represented by MDC INTERNATIONAL in Berlin. Please contact MDC for further information. * "Days by the River" on filmfestivals! Vera Documentary Film Festival, Mariehamn/Åland, Finland. 12:th Festival der Neue Heimat Film in Freistadt, Austria. The Whole Of Sweden Film Festival, Sala/Heby, Sweden. Stocka Film Festival, Stocka, Sweden. 14th Umeå Internationella Film Festival, Umeå, Sweden. Skellefteå Film Festival, Skellefteå, Sweden. "Docs for Sale", IDFA, Amsterdam, The Netherlands. Universidad de Alcalá, Alclá de Henares Madrid, Spain. International Film Festival, Bratislava, Slovak Republic. 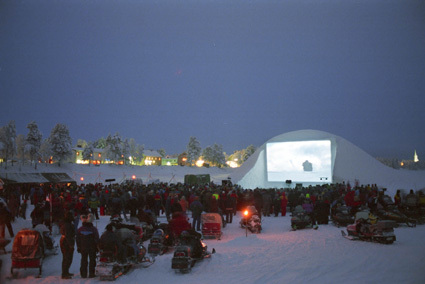 Documentary Film Festival in Östersund, Sweden. The Hole of Sweden Film Festival, Storuman, Sweden. One World Film Festival, Prague, Check Republic. 5th Environmental Film Festival, Istanbul, Turkey. Northlichter Film Festival, Vienna, Austria. Do you wanne see when "Days by the River" had it's "Snowpremiere"? Naud production AB is co-working with Kb Cinemedia Ky in Vasa, Finland. At Cinemedia you can do searches on-line on over 22.000 videotitles. Just click HERE!